Panic Records has unveiled a winter sampler with tracks from recent signings All Teeth, The Anchor Boys and Run With The Hunted, as well as cuts from Make Do and Mend, Late Nite Wars, The Saddest Landscape, Casting Curses and Lions Lions. 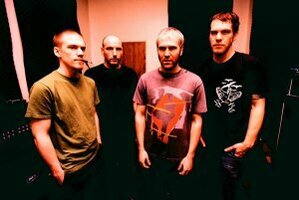 Red Animal War have announced a rare performance, slated for December 31 at the Curtain Club in Dallas, TX. In their heyday, the band was a staple of the Deep Elm Records roster and last released Seven Year War in 2006 via End Sounds. 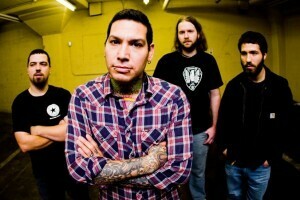 Tumbledown, the alt-county project from MXPX frontman Mike Herrera, recently recorded a live basement rendition of “St. Peter.” The track is culled from the band’s sophomore full-length, Empty Bottle. Click below to watch. The group will be kicking off a tour with a New Years Eve date in Seattle, WA before heading to Japan, California, Mexico, Nevada and Arizona in January and February. Hightide Hotel have made their debut LP Nothing Was Missing, Except Me available as a pay-what-you-want download. Check it out here. The album was produced by Joe Reinhart of Algernon Cadwallader and boasts nine brand new tracks as well as two reworked songs from the band’s previous EPs. They’ll be on the road supporting the album beginning tonight in West Chester, PA.
Chris Conley’s set wasn’t the only one recorded at the Cambridge, MA stop of the Where’s The Band? 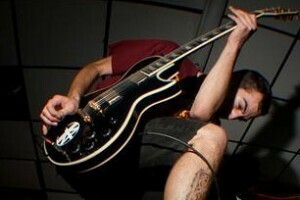 Tour; we’ve also found video of Bayside frontman Anthony Raneri‘s performance from that night. Click below to watch it. Bayside’s new album Killing Time is due out February 22, 2011 via Windup Records. North Korea, a new project from Ryan Hunter and Brian Byrne of Envy on the Coast, Michael Sadis (The Rivalry) and Billy Rymer (The Rivalry, Dillinger Escape Plan), have posted their new song “Master Plan B” for download. The song was originally introduced through a performance video earlier this week. Brisbane, Australia-based podcast D.I. Wireless has posted a bevy of videos from the Brisbane stop of the Hot Water Music / Bouncing Souls / Dave Hause tour down under that wrapped up earlier this month. The three acts collaborated on live renditions of “Jane,” originally performed by Hause’s group The Loved Ones, the Souls’ classic “True Believers,” and “Wayfarer” and “Trusty Chords,” both originally performed by HWM. Fixed a crash when you try to issue an order to multiple units in different containers at the same time. Backported the “addbrigade” fix from Gold, so if you use that command in the console it won’t break your saved games. Armenian police forces have begun a concentrated effort to single out alleged “emo kids,” according to this report. The efforts came about after the recent suicides of two teenagers rumored to be fans of emo music and according to the report, officers have visited schools, searched the belongings of kids wearing distinctive clothing that might be classified as “emo,” set up surveillance where young people gather and even have detained some teenagers for questioning despite a lack of evidence or legislation for doing so. Armenia is a former republic of the Soviet Union, establishing an independent democracy in 1991. Footage of a recent acoustic set from Saves The Day frontman Chris Conley was recently uploaded to YouTube. The set runs for an hour (!) and is split up into two videos, both of which can be seen by clicking below. 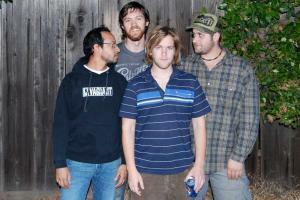 Saves The Day’s next album Daybreak is expected out sometime in 2011. Geykido Comet Records has posted a compilation celebrating the label’s dozen years in the game. It features tracks from Toys That Kill, Fleshies, Intro5pect, Citizen Fish, Enemy You and a slew of others.